French President Emmanuel Macron and U.S. President Donald Trump talk during a bilateral meeting on the sidelines of the NATO (North Atlantic Treaty Organization) summit in Brussels, Belgium. 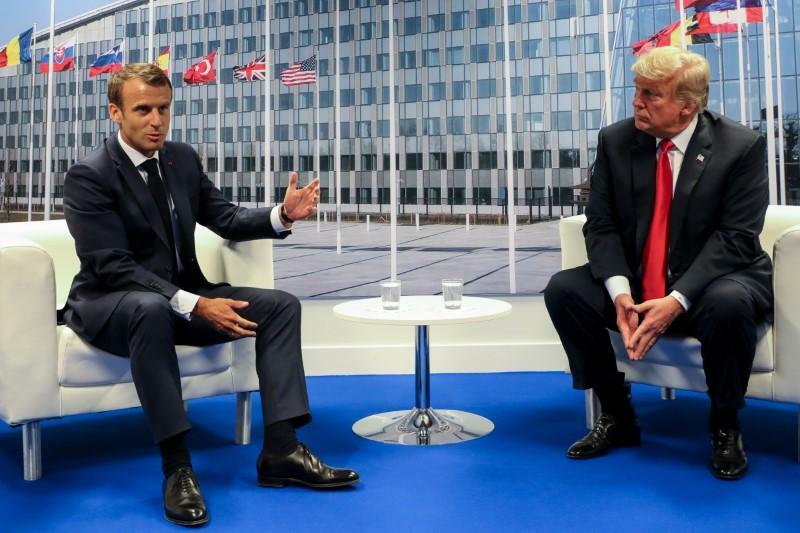 Trump and Macron last met at a NATO summit in Brussels in July, where the U.S. president chastised members of the alliance that have not met its defense spending targets. At the summit, Macron said France would met the NATO goal of spending 2.0 percent of GDP on defense by 2024. Trump caused an uproar when he pressed alliance members to reach the target by January. On trade, the United States and the European Union are embroiled in a spat after Trump imposed tariffs on imports of aluminum and steel from France and other countries. The EU responded with retaliatory tariffs on some U.S. goods.